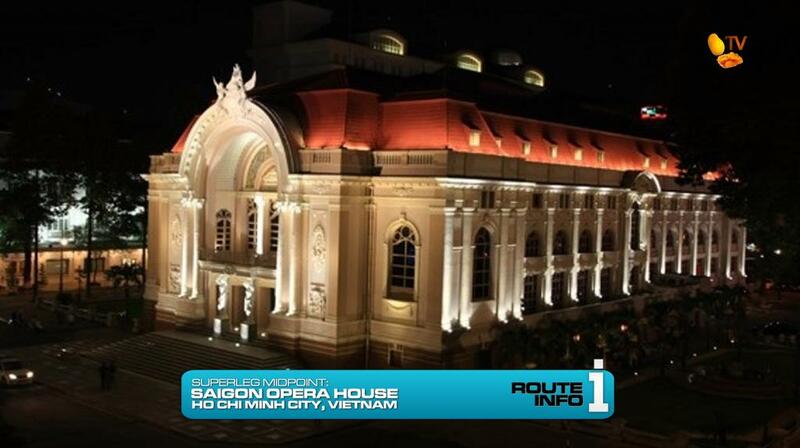 Immediately from the Saigon Opera House, teams head to the train station to catch the 7pm train to Da Nang, arriving at 11:55am, an almost 17 hour train ride. 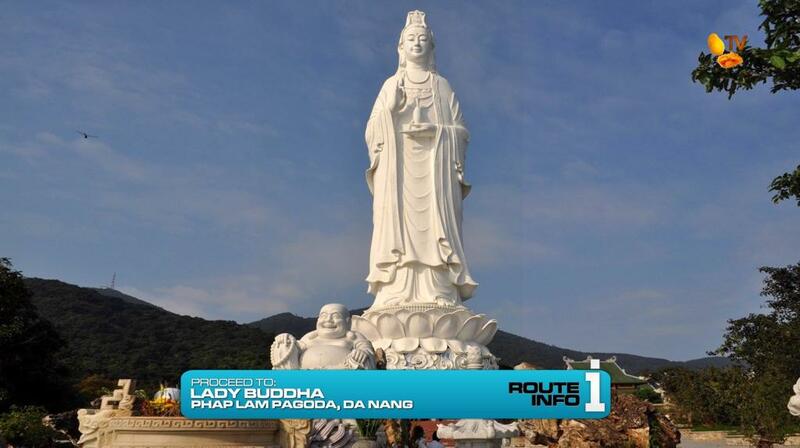 Once in Da Nang, teams must make their way to the Lady Buddha at the Phap Lam Pagoda to find the next clue. 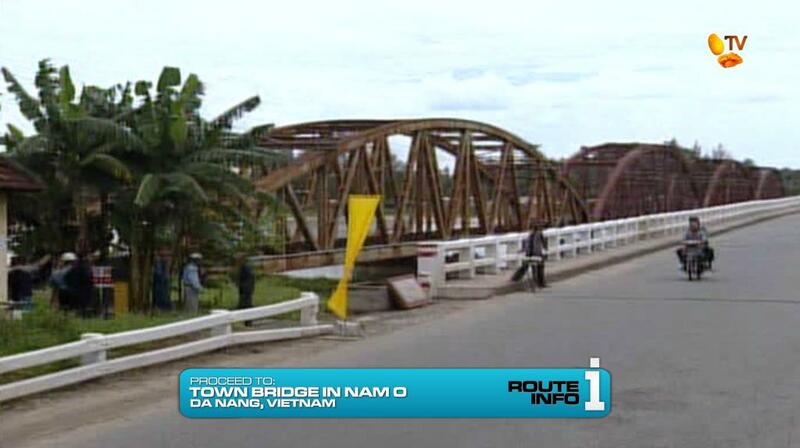 That next clue points teams to the town bridge in Nam O where they will find the Detour. 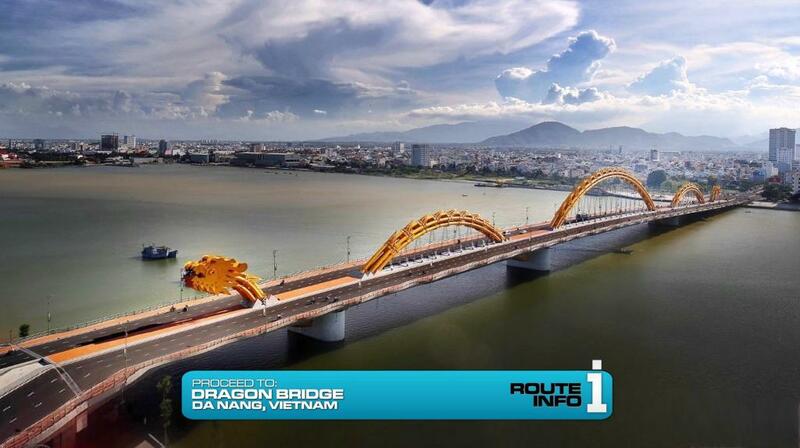 For this Detour, teams will get to experience one of the classic and most infamous Detours in all of Amazing Race history. 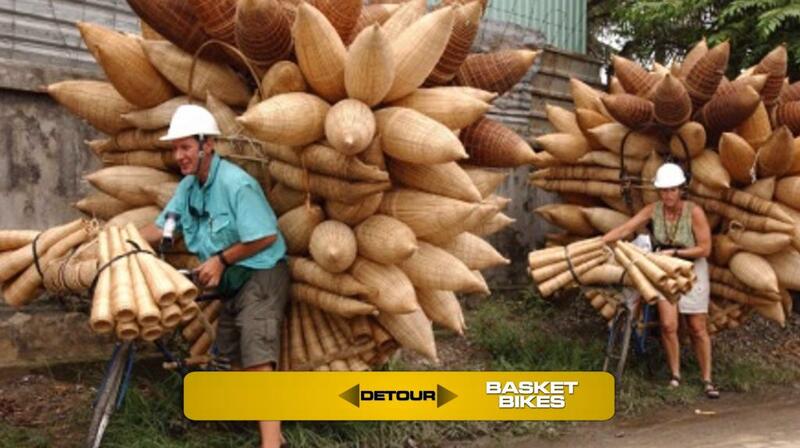 The choice: Basket Boats or Basket Bikes. 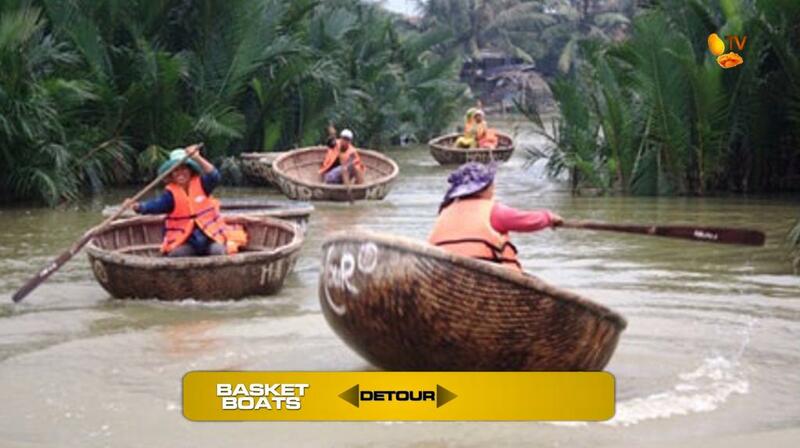 In Basket Boats, teams must use Vietnamese basket boats to paddle themselves across a river to obtain their next clue on a nearby island. They must return the same way and back to where they’ve picked up the boats before they can open the clue. 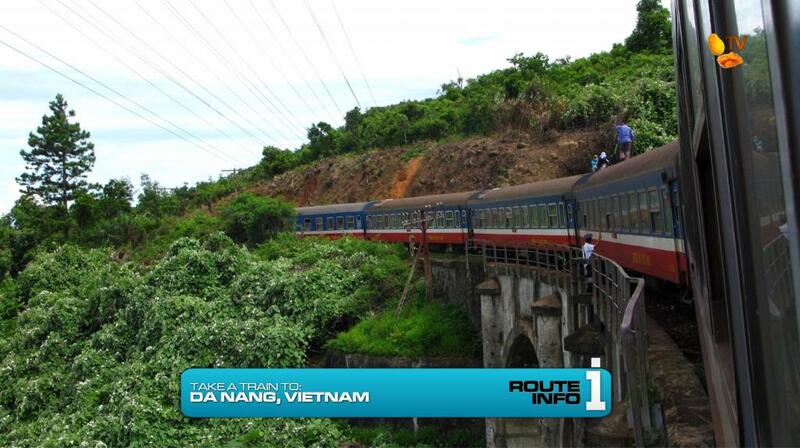 Teams can ask locals to help show them how to use the boat, but teams must paddle themselves across the river. In Basket Bikes, teams must take a bicycle laden with dozens of shrimp baskets and travel down the street to the clue box 1.6 km away. After delivering the baskets and the bike, teams can ride a regular, basket-less bike back up the road. Teams can ask locals for help, but they must be on the bike at all times. 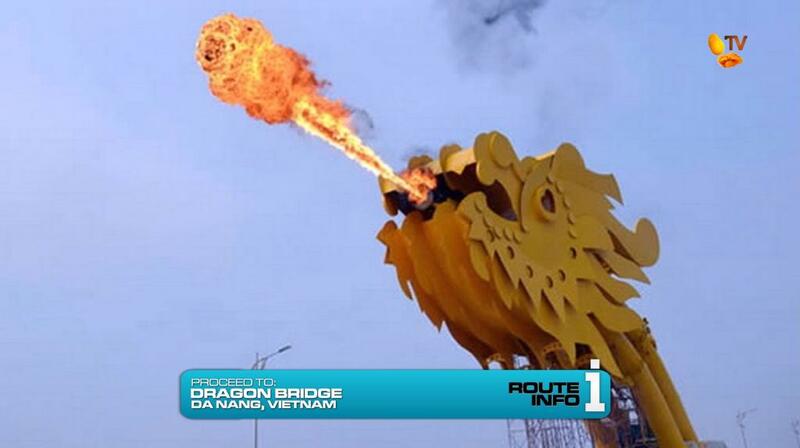 Teams must then walk and pass the mouth of the dragon (where they will be greeted by a breath of fire) before catching a taxi to their next Route Marker, a rice field outside of Da Nang. And here they will find the Road Block. 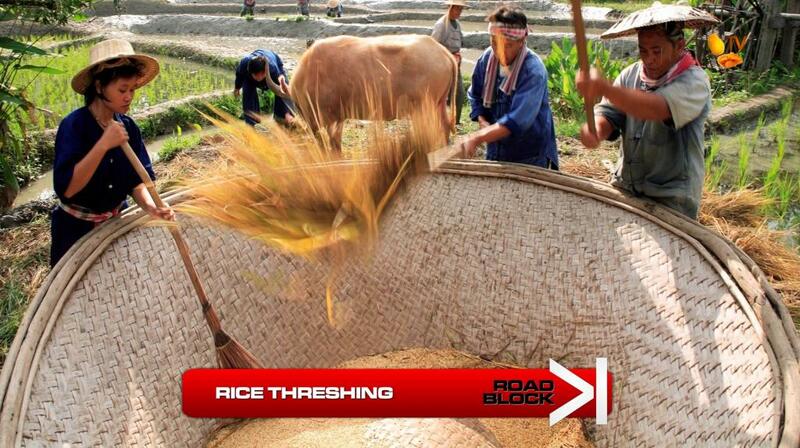 In this Road Block, teams will join local farmers and whack rice stalks to fill one basket of unhusked rice. Once they have filled it up to the line, they will receive their next clue. 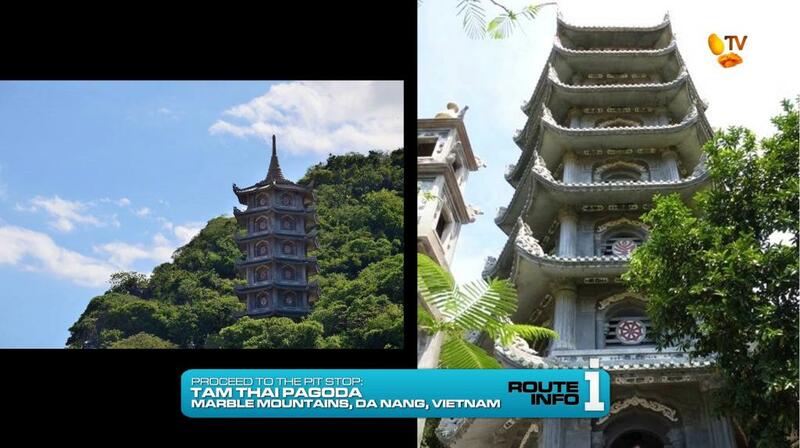 And that clue tells them to make their way to the Pit Stop at the Tam Thai Pagoda on the Marble Mountains. The last team to check-in here will be eliminated. On the next Leg of The Amazing Race Philippines: DryedMangoez Edition, teams make history as they become the first Amazing Race teams ever to visit the country of Nepal. But the 2nd Double Yield of the Race finally brings tensions to a boiling point, literally!